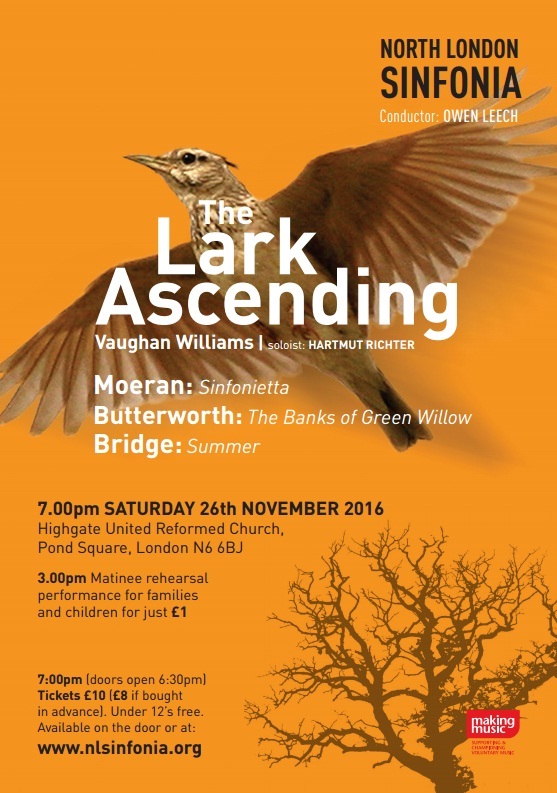 Had a great time playing the Lark Ascending last night, this time with the North London Sinfonia. Fantastic evening! 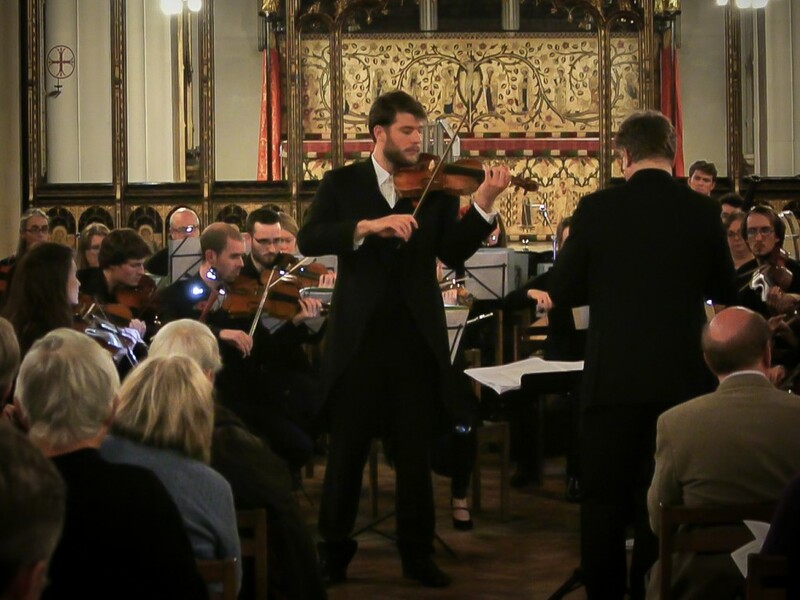 Looking forward to joining the North London Sinfonia again playing Vaughan Williams’ mesmerising Lark Ascending after a very enjoyable and memorable Beethoven Concerto with them 2 seasons ago! 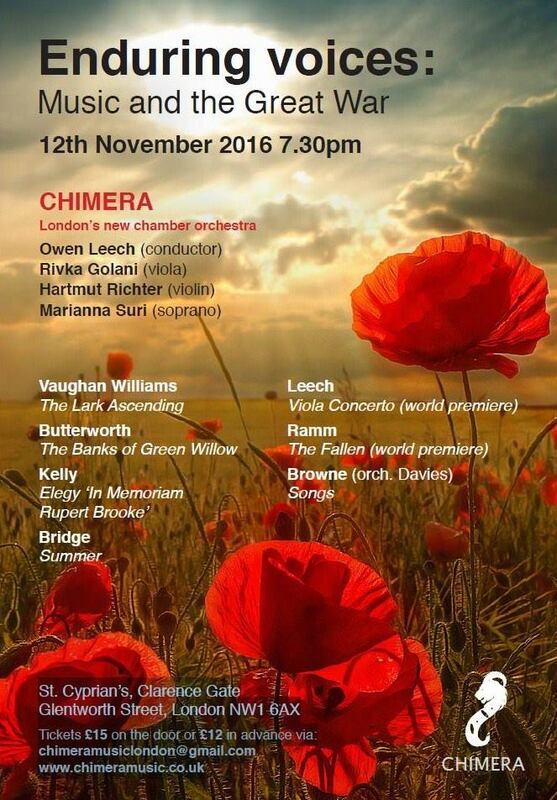 Had a great time playing Vaughan Williams’ Lark Ascending with the Chimera chamber orchestra. 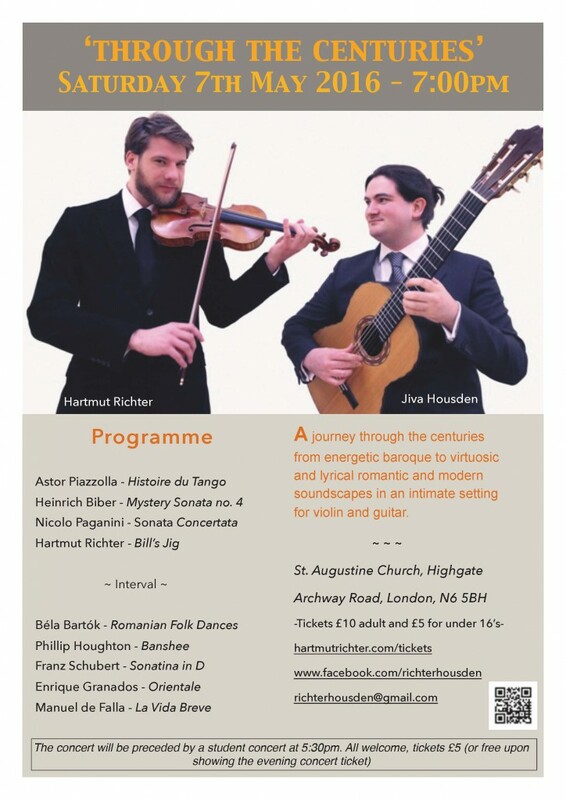 Join us on an exciting trip through the centuries of music, with works by Biber, Paganini, Schubert, Piazzolla, Houghton, Bartok, Falla and Granados. 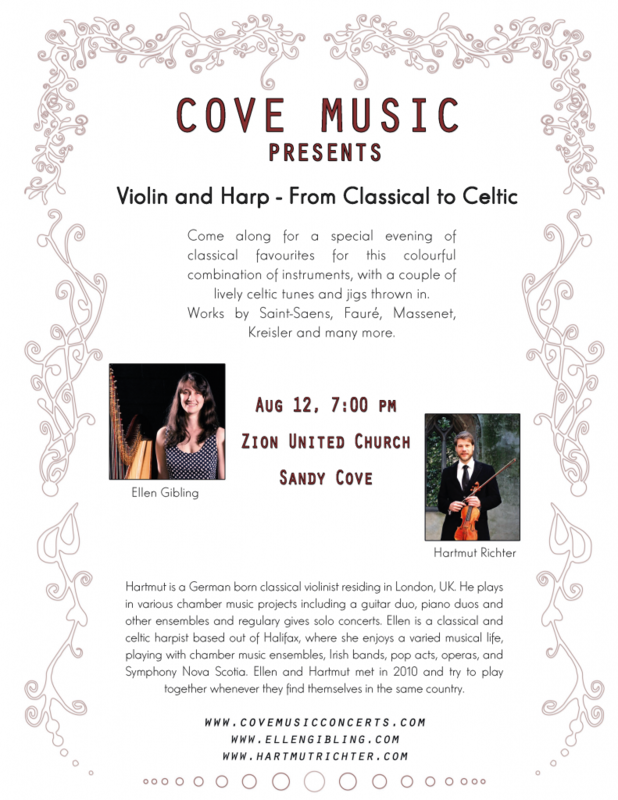 If you happen to be in Nova Scotia, Canada, there is no excuse to not come to Sandy Cove on the 12th of August for a night of Violin and Harp music including Saint-Saëns Fantasy Op. 124, J.S. 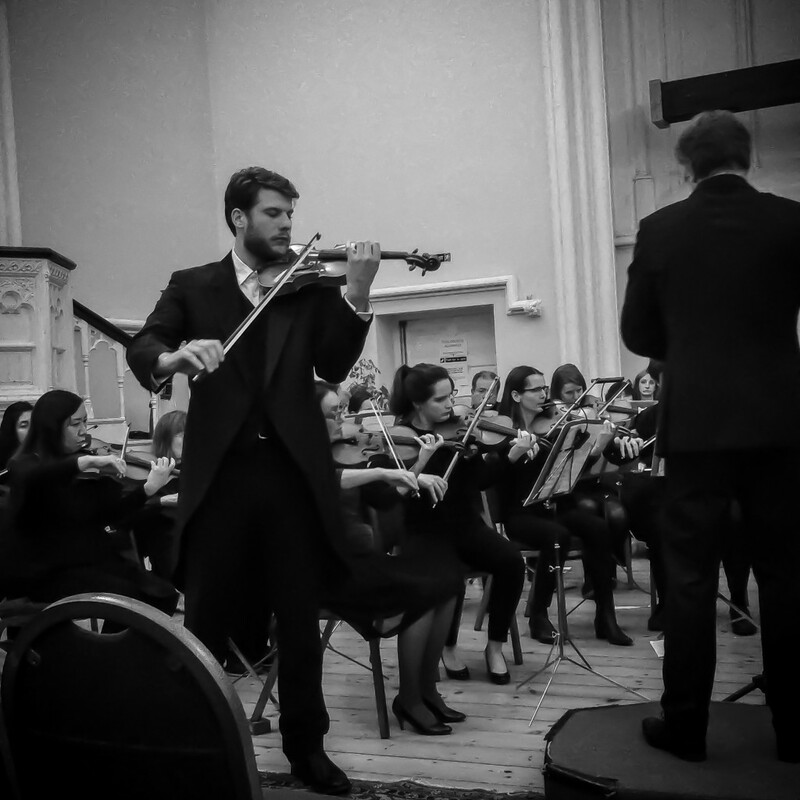 Bach’s Sonata BWV 1014 and works by Massenet, Fauré and some celtic music and jigs. I will be joined on the harp by Ellen Gibling. 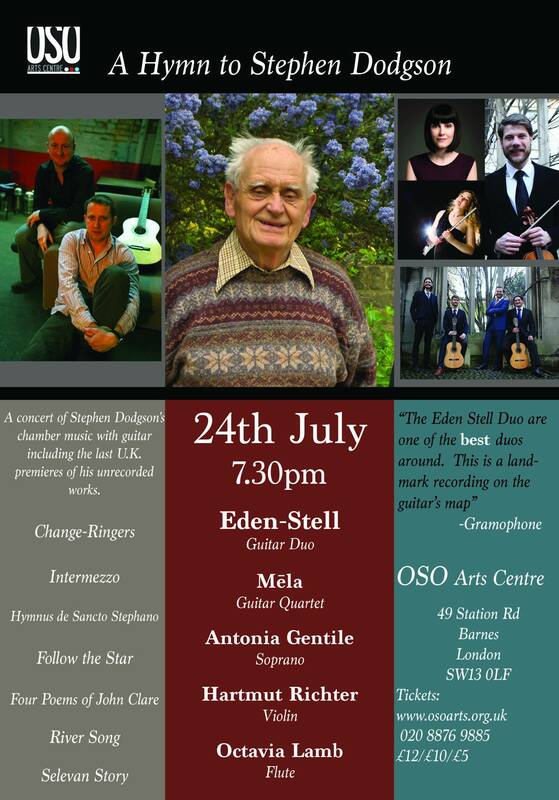 With a recording session coming up end of July for the late Stephen Dodgson’s Selevan Story, the ensemble (including the Mēla guitar quartet, Eden Stell guitar duo, Octavia Lamb and Antonia Gentile) will perform a concert dedicated to Stephen Dodgson on Friday, 24th July in London. 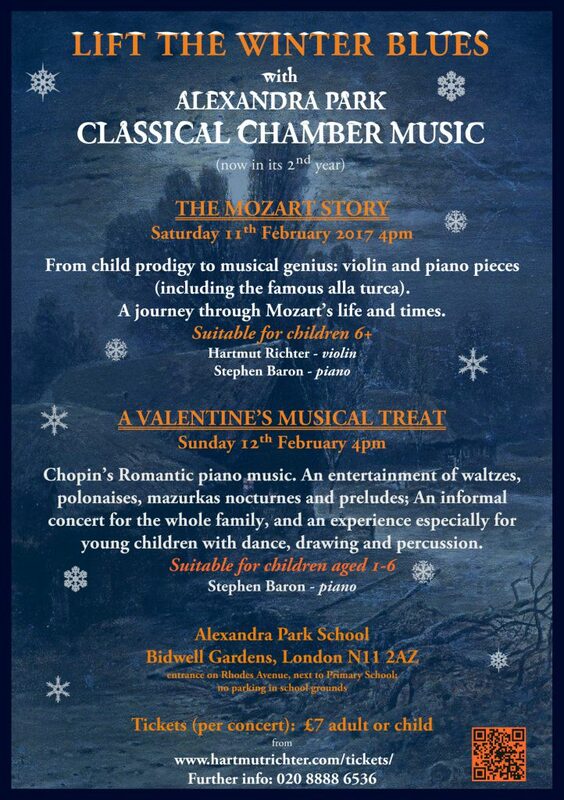 An informal concert for the whole family and an experience especially for younger children, with dances, drawing and drama. Appreciate great music in a relaxed environment! 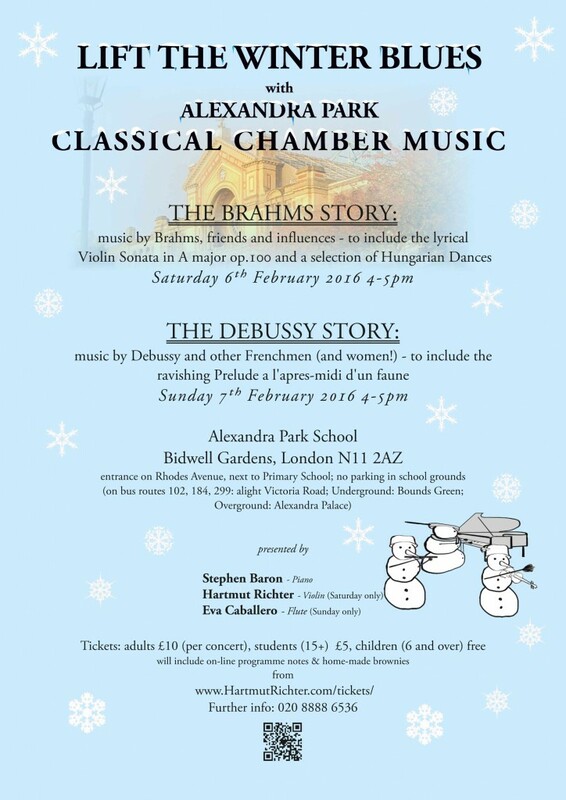 A musical event with the Romantic violin sonata by Belgian composer Cesar Franck and other musical delights with home-made chocolate brownies & refreshments and a chance for children to try out the violin and piano. Event will last approximately one hour. Tickets £5 (adult or child) available on the ticket page.